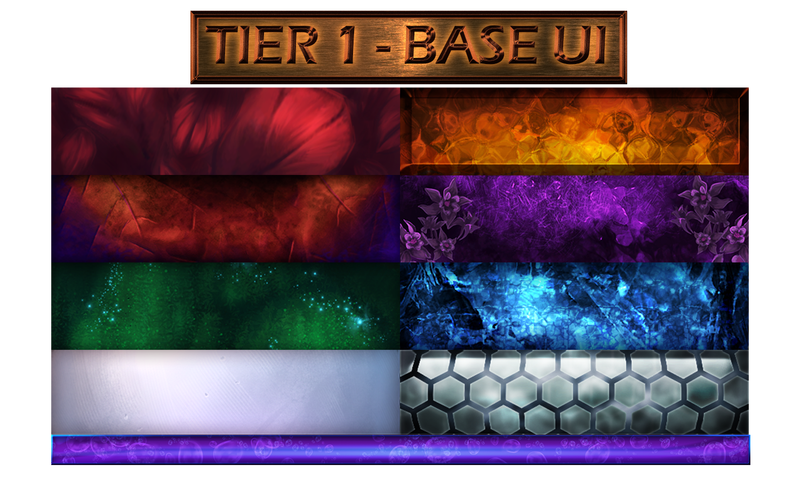 Pledge from tier 1, 2 or 3 to get your own package of interface art for the next time I release a creation! I make a creation (a themed UI) once every month or sometimes every other month. Once I've announced a new creation, payment will be withdrawn the 1st of the following month. When all payments have been processed, I'll send the reward through a private message. Patreon is a subscription service for NEW art I do. If you want to buy previous rewards, go to my Gumroad shop here: https://gumroad.com/mistyteahouse. 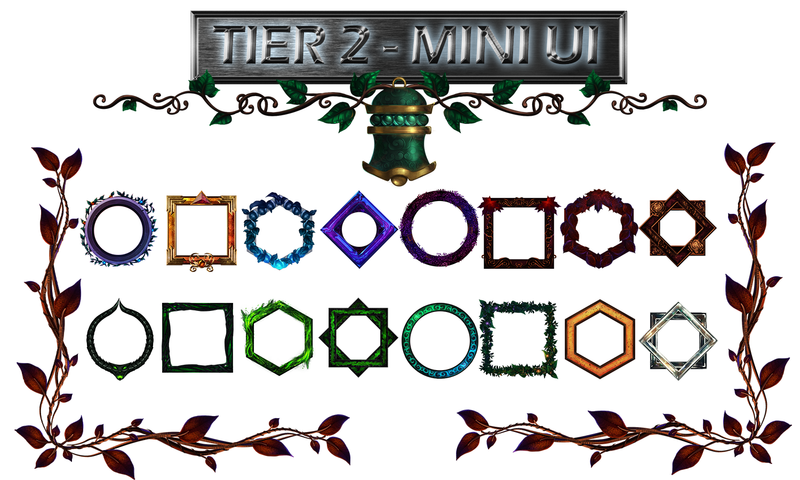 The texture package contains textures for Unit frames and Progress bars. If you choose to install them with SharedMedia, they will pop up directly in all your addons. Borders are squares, circles, hexagons, diamonds, dividers and corners that you implement with Weakauras and place wherever you want in your UI. You can edit them, resize them, duplicate them until you have it just the way you like it. Awfully good if you want a simple UI with just a little bit of art here and there! Contains chat backgrounds, actionbar backgrounds, panels, cast bars, procs etc. All to make a whole themed UI! Every creation has its own theme, and all packages adhere to the same theme. The Patreon packages contains ART ONLY. 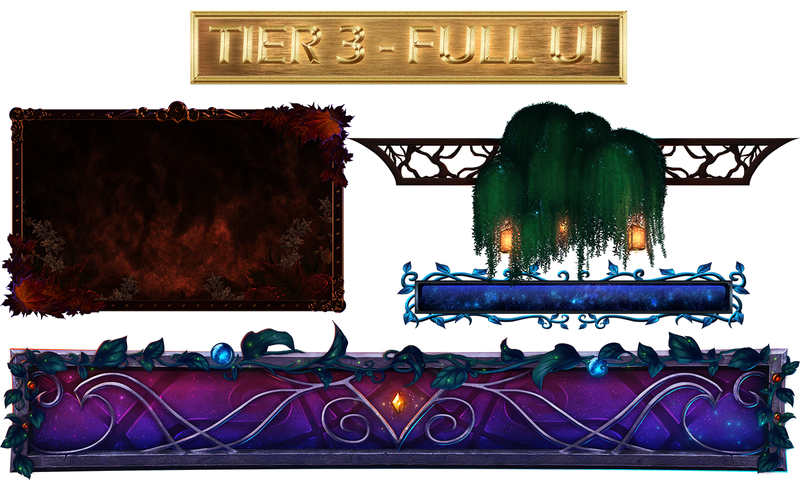 However, you can implement the art into your game to make a functional UI. Help to set up the UI with Elvui profiles, weakaura exports and guides will be free on my blog: http://mistyteahouse.com/. I can upgrade my computer equipment! It includes things like subscriptions for Adobe Creative Cloud (creative programs), a new SSD, more RAM, better equipment for streaming and video editing. Huzzah!